"The LEWITT mics are very versatile!" Scott Bradlee’s Postmodern Jukebox is a genre-busting, rotating collective of musicians and vocalists that reimagines modern pop hits in a style that recalls jazz, ragtime, and swing classics from 1920s, ’30s, ’40s, and ‘50s. As the group’s arranger, producer, and pianist, Scott Bradlee has brought together a multi-talented circle of performers who rework versions of popular modern songs. And the music videos of their collaborative covers have become viral sensations, with millions of views on YouTube: as of March 2017, Postmodern Jukebox YouTube channel has amassed over 600 million views and over 2.5 million subscribers. Each Thursday, Postmodern Jukebox releases a new video on YouTube. 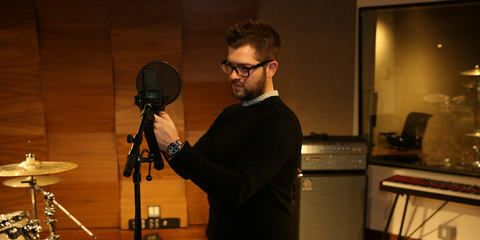 The collective has covered songs by artists ranging from Lady Gaga and The Strokes to Katy Perry and the White Stripes. Since their beginnings as a small group of friends making music in a basement in Queens, NYC, Postmodern Jukebox has gone on to feature 70 different performers and tour four continents. 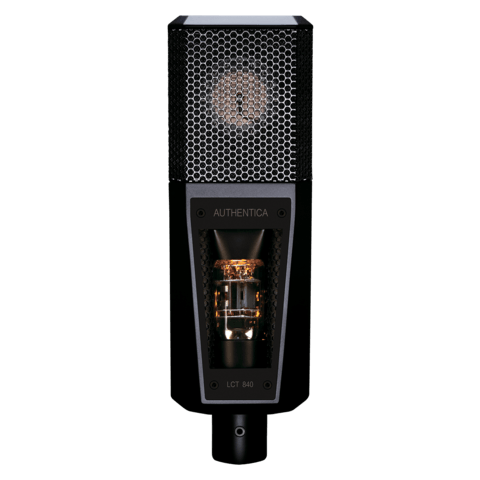 We got a chance to interview Matt Telford, the Postmodern Jukebox audio engineer, and we talked with him about what role LEWITT mics play in the project. [LEWITT] You’re using quite a collection of LEWITT mics with Postmodern Jukebox. What can you tell us about them, and what role do they play in your daily work routine? [Matt Telford] Well, the LEWITT mics are very versatile! We do every music video in one take, and room noise can be a huge problem for us. But with the array of LEWITT mics we’re using, it’s really easy to focus in on the actual source of the sound – without getting a lot of the background noise. The LCT 240 is serving me extremely well. The versatility of this microphone cannot be overstated. It excels on every application you throw it on. I’ve been using it for piano, horns, harp, and much more, and the clarity and detail are great. I also use it to track tap dancers, and it just sounds amazing on all the recordings we’ve done with it. The LCT 550 … wow! First of all, this is the only mic that – after moving into our new location with dimmer switches galore – had no line noise even when I push the gain. The response is clear and detailed, meaning that I have no need for my 414’s. I’ve used it on guitar cabs, vocals, horns, drums, and basically everything. One of its many shining moments was going from a muted trumpet to an unmuted trumpet. Most other mics would have gain-peaked with the level I first had to set, but the LCT 550 shone through crystal clear with a signal I couldn’t have otherwise achieved without using two mics on it. I also use two LCT 550’s on piano, since their frequency response is well chosen for that and since they have a really wide spectrum. Having them on the piano seems to balance out everything really well, especially when I use two of them there. They’re my go-to mic when I record a piano. They’re amazingly quiet and sound great. As far as the LCT 940 goes, I love how it’s a very clean mic: it doesn’t have a lot of coloration, which is perfect if we have to do something where we’re not really looking to have the singer’s voice colored by the mic itself. The fact that the LCT 940 has so many options is amazing – it goes from vintage tube to FET to being able to blend both. It has a crispness that’s switchable to a warm tone with a move of the dial, and it picks up every nuance beautifully. So it’s well suited to handling a diverse array of singers and other sound sources. I’ve even had full bands going full blast behind it, and I still hear the quietest singers beautifully and have workable material in post. I haven’t used the LCT 840 on a video yet, but you’ll be seeing and hearing it in a few videos that are coming out soon. The LCT 840 adds a little bit more color with the tube, which I really like. It’ll hopefully become our new main mic, because we do want to have a little bit of that vintage coloration on the vocals. When we’re not producing videos, we’re using the MTP 550 DM handheld mics – and they’re doing great. We do a lot of group vocals with two or three singers on one microphone during our stage show, and it picks up all those slightly off-axis voices really clearly. What’s especially nice here is that even though these mics do well on sources that aren’t directly on-axis, they still let us keep the background out of it. Also, I’m using the MTP 550 DM on the bridge of the upright bass, and the response I get is really impressive: the lows are felt, and the attack is crystal clear. 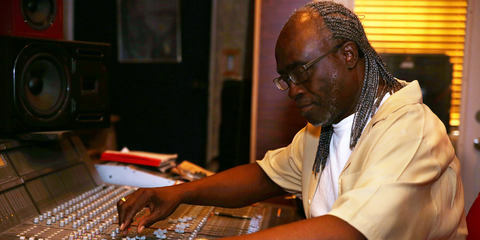 The body of the bass from 80Hz to 160Hz really comes through in my mix – better than what comes through the pick up – and it produces a very warm tone that sits nicely among the other instruments. As a whole, the LEWITT microphones have soared way above my expectations of how microphones can function in our unique recording environment. [LEWITT] You’ve also used the Neumann U47 for many of your productions. Have you had a chance to A/B the LCT 840 and the U47? [Matt Telford] Yeah … I’ve done a lot of shootout tests with these two mics, and in several respects, the LCT 840 really outshines the Neumann. What I found is that its mid response is a little bit better than the Neumann’s; it comes through a lot clearer. And with the Neumann, you have to sweep down the filter to really get that low end out of it, while you don’t have to go as aggressive on the LCT 840, which is a huge perk. Another thing I really like about the LEWITT is that doesn’t get a lot of those low frequencies that you’re not really gonna use without having to make major adjustments with the frequency. 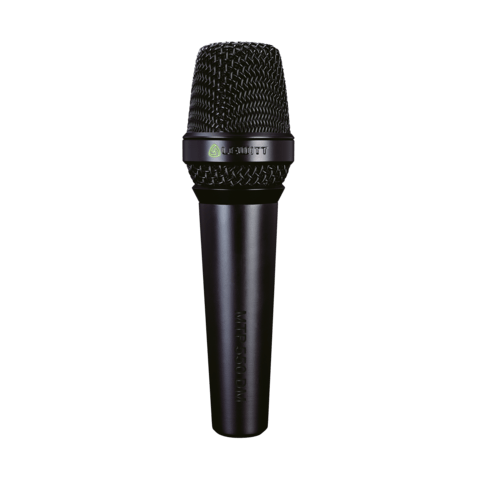 [LEWITT] What did you use before you switched to your MTP 550 DM handheld microphones, and why did you make the switch? [Matt Telford] Before, I was using either the Shure SM58 or the Telefunken M80s. The MTP 550 DM has a better axis then the M80 does. Also, the M80 is a very bright microphone whereas the MTP 550 DMs are more balanced out. And when it comes to clarity, the MTP 550 DMs go way above and beyond the SM58. You can actually hear it if you just have a raw recording: the MTP 550 DM sounds so much better than the SM58 with nothing on. 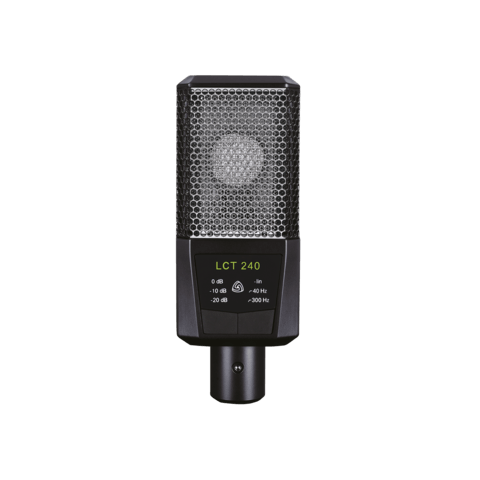 I recommend LEWITT to everyone, and in fact, I just had a few people who worked with us and, after hearing the raw recordings, immediately went out and bought some LEWITT mics for themselves. The frequency response of the LCT 640 is just perfect! Chet Roberts is living the dream. 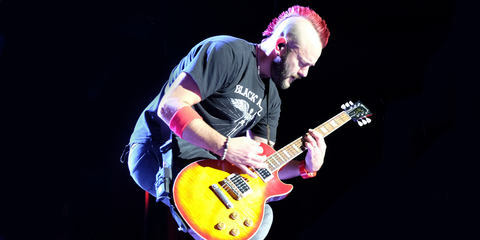 Crediting a mix of hard work and being at the right place at the right time, he went from engineer to musician nearly overnight when 3 Doors Down needed a replacement guitarist. “For live performance, the MTP 940 CM is ULTIMATE!" 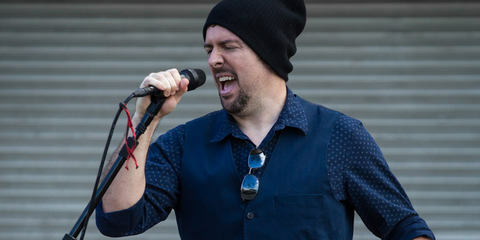 As the man named 2014, 2015, and now 2016 "Best Male Vocalist" by Los Angeles-based rock publication Rockwell UnScene Magazine, Thomas Claxton is a musician who’s not to be missed. 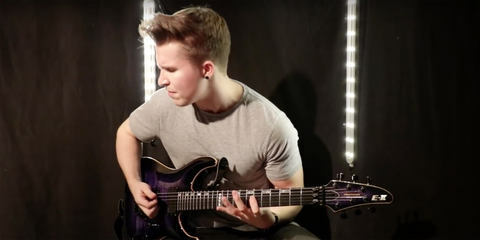 "With the LCT 940 you can find the right sound for each situation." 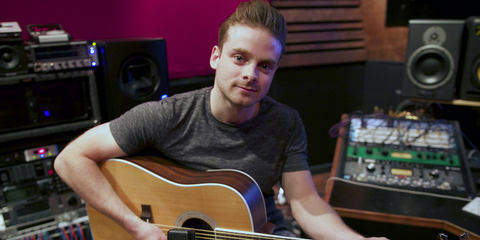 Dan Richards is a guitarist as well as producer and has been on 4 world tours with UK boy band One Direction.